How Will We Solve Big Energy Challenges? How Can Technology Solve Our Big Problems? Why hasn’t technology already cured cancer, found a way to feed the hungry or created clean energy? These are bold questions for which many don’t have answers. But innovation expert Jason Pontin has hope – and he remains confident in the power and promise of truly transformative technology to solve our biggest problems. His informed yet provocative perspective on information technologies (big data, AI, robotics) and life science technologies (gene editing, brain science, longevity) help imagine a future where we take big leaps in our ability to grapple with deeply entrenched challenges to our health and welfare on this planet. Until recently, Pontin was the editor-in-chief and publisher of MIT Technology Review, where he led a strategic overhaul after joining the organization in 2004. He relaunched the 117 year-old publication in October 2012 as a “digital-first enterprise,” a move heralded as setting “the standard for the transition to a digital future for legacy media.” An innovator in his own industry, Pontin was also a prominent persona on stage, moderating live events and engaging the audience as a feature speaker at EmTech, the company’s annual conference series focusing on emerging technologies. Now, Pontin is a senior partner at Flagship Pioneering, a venture capital firm that conceives, creates, and funds companies that solve problems in health, food, and sustainability, and a contributing writer to Wired. Earlier in his career, Pontin was editor of Red Herring, a business and technology publication popular during the dot-com boom. He has written for numerous national and international magazines and newspapers, including The New York Times, The Economist, The Financial Times, and The Boston Globe, and is a frequent television and radio guest expert. Pontin was educated in England at the Harrow School and University of Oxford. Jason Pontin is available for paid speaking engagements, including keynote addresses, speeches, panels, and conference talks, and advisory/consulting services, through the exclusive representation of Stern Speakers, a division of Stern Strategy Group®. Is Boston Biotech in a Bubble? Don’t Panic! It’s Not Too Late. Emerging technologies and new science are being turned into disruptive, commercial products and services at an unprecedentedly fast pace. Many of these products are based on fundamental breakthroughs in artificial intelligence, gene editing, and materials science. But even as these technologies overturn entire industries and eliminate millions of jobs, it can seem impossible to keep up with the latest ideas and their potential impact. Fortunately, there is a proven technique that allows executives to learn about new technologies before they are broadly deployed, to think about future scenarios, and to plan accordingly: futurism. Jason Pontin, a renowned futurist who has successfully predicted the impact of dozens of new technologies over the last 20 years at magazines like MIT Technology Review and Wired, will teach you the history and methods of futurism and provide practical advice about how to align your organization and industry around the opportunities and challenges of the next decade. In this entertaining talk, through vivid, real-world examples of the most disruptive contemporary forces in IT, healthcare, energy, transportation, and retail, Pontin will explain that futurism isn’t rocket science, but a sixty-year old discipline that any smart organization can adopt and modify to meet their strategic goals. The way we work has changed radically. Over the last two decades, entire job categories have been created and destroyed. With the rapid evolution of artificial intelligence, robotics, and data analytics, the next twenty years have bigger changes in store. Almost every job and industry will be touched by the coming age of machine intelligence. 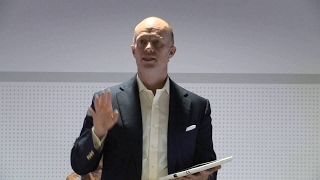 Jason Pontin, leading futurist and former editor-in-chief of MIT Technology Review, will explore the present and future of workplace technologies in a presentation customized to your organization and industry. Work today to be ready for tomorrow. The internet was supposed to usher in an era of free exchange of ideas, where the best ideas would hopefully win out. But has this happened? Ideas certainly proliferate across the online world – particularly through the new channels of social media – but too often hateful and outright false beliefs have been the ones which triumphed. “Fake News” has become endemic, demagogues have rode mass hysteria to power and acclaim, and most alarmingly, violent acts inspired by online vitriol have become increasingly commonplace. Jason Pontin, who has spent his life arguing passionately in favor of free speech at almost any cost, now believes the realities of the digital era require a new standard that combats hatred and falsehoods without engaging with them and granting them legitimacy, by extension. In this presentation, Pontin relates his own experience with false online accusations as well as his new perspective on how tech companies in particular should rethink free speech. This decade’s big breakthrough in artificial intelligence (AI) was a revolution 70 years in the making. The work of an odd group of computer scientists and mathematicians who pursued an unconventional approach to innovation, AI is slated to become the most transformative technology of our time. Most businesspeople have some inkling of how disruptive AI will be, but they don’t know its untold story: how a small band of researchers who, once rejected by experts at major universities like MIT and Stanford and at corporate labs like IBM and Microsoft Research, could only find work at second-tier universities, scraping by on small research grants and refusing to give up on what they believed to be the approach with the most promise. Jason Pontin, futurist and leading expert on emerging technologies, tells the elaborate story of how the rebels overturned the assumptions of their field to now lead research and development at Google, Facebook and other internet giants. 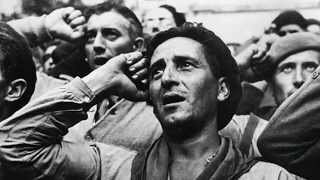 Their story is suggestive of how technological progress really happens: through combination and collaboration, slowly and unpredictably. Pontin will also explain what to expect next from AI, including what kinds of things it will be able to do, how it will impact different industries and jobs and what challenges it must overcome to make further progress. We are on the cusp of a new age. Gene-editing technologies like CRISPR are letting doctors understand hitherto mysterious aspects of life, and in the future we will eliminate intractable diseases and augment our bodies to make us stronger, faster, or even smarter. Scientific advances are providing new insights into how our brains learn, emote, or become sick, and technologists want to implant digital devices and even new memories in our heads. We are learning why we age, and creating drugs that could allow us to live longer and healthier lives. 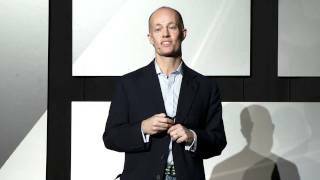 Jason Pontin, leading futurist and former editor-in-chief of MIT Technology Review, will guide you through the possibilities of the coming generation of genetic technology and the potential impacts on our society and our lives. Name any problem, and technology is at least part of the solution. But big problems — like providing clean energy for the 11 billion who will be alive on the planet by 2100, making cancer into a treatable, chronic disease, or affordably educating the world’s children and creating life-long learning for adults — are hard. Humans have increasingly struggled to solve the really big problems. 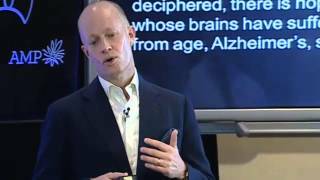 Jason Pontin explains what happened to humanity’s capacity to solve the really big problems we face and offers reason for hope by describing a number of technological efforts that could expand our sense of ourselves. Every year, MIT Technology Review identifies 10 breakthrough technologies that have the capacity to transform business, society, politics — how we live our lives. The emerging technologies are broadly drawn from a wide variety of fields: information technology and the Web; biomedicine; energy; and materials. Each is identified with a particular innovator or innovative company and possesses a clear path to wide, commercial use. 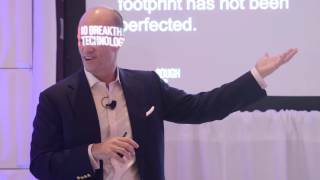 For each technology, Jason Pontin describes the big problem that an innovator is trying to solve; he dives deep into the solution, using clear, everyday language without jargon, and he explains the likely impact of the new technology. In each case, he ends with a few words of caution: all really novel technologies are disruptive, and their broad-scale adoption will have winners and losers, as well as ethical and social challenges. Jason Pontin, a world-recognized expert on innovation, explains what innovation is and is not — and how organizations or governments can best encourage it. Pontin argues that innovation is not invention, and still less scientific discovery. He shows that individual innovations must be valuable, which means they must exist in a market or some more general social context of supply and demand. Pontin entertainingly describes a variety of successful innovations from startups, large companies and academic institutions, and he charts their path from mere idea to widespread use. Some of his innovations are technological, but not all: innovation launches new products, business processes and other changes that create wealth or improve social welfare. In telling the stories of individual innovations, he stresses that their path to commercialization was seldom easy: incumbents within and outside organizations always resist innovations – and while luck favors the prepared, success usually demands a little luck. For government audiences, Pontin explains what government can do to foster innovation. Those things are limited and simple. They are also relatively well-known and are supported by a large literature: the surprising thing is they are not more followed. Governments can fund research, devise regulations and tax incentives that promote risk capital and entrepreneurialism, protect intellectual property, uphold the rule of law and maintain flexible labor markets. Where there are no endemic venture-capital markets, governments can seed the first risk-capital funds, but only if they do not aspire to promote individual technologies or patronize specific companies. Otherwise, governments do best by doing least. Pontin looks at local, state or national governments that have followed this winning formula, and he tells disastrous stories of governments that departed from best practices. Jason Pontin is an innovator within his own industry: media. He is engaged in what the The Boston Globe has described as a “strategic overhaul” of MIT Technology Review, whose goal is to make the venerable magazine (est. 1899) into a modern electronic publishing company. AdWeek has commented that “Pontin and MIT Technology Review could set the standard for the transition to a digital future for legacy media.” In this talk, Pontin describes the tumult and challenges faced by traditional media organizations, how the public’s confidence and interest in their products has collapsed, and why their economic future is so uncertain. He argues that journalism and media organizations should be important to anyone who cares about democracy and open societies, or who wants robust criticism of established corporate or political interests. Pontin says we cannot expect independent bloggers and much of what is called “new media” to fulfill the crucial intellectual and cultural functions of newspapers and magazines. Instead, he lays out a clear, imitable set of prescriptions, combining the best of old and new media practices that will make publications into sustainable businesses for the future.